Continuing our series of campus-related urban legends, another popular student-body rumor concerns a prominent psychic who has predicted a mass murder on campus. The rumor typically claims that the prediction was made on a high-profile TV program, and the occurrence is predicted on some significant date, with Halloween being a popular choice. Details of the upcoming murder scene vary to suit the local campus (a high point or low point, a building shaped like a certain letter, etc.). Brunvand (2001) has documented examples of these scares in “virtually every year during the 1980s and 1990s” (59). One even hit my hometown (Michigan) in 1998. Could Strunk and White's Elements of Style be the scariest thing on campus? 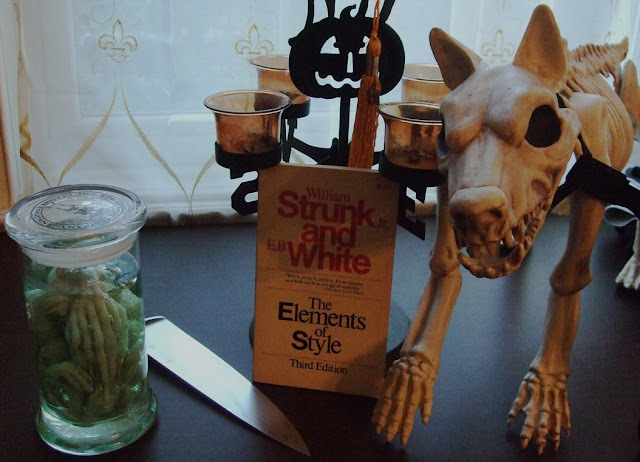 Relocating the scare to an English comp class also allowed me to pay homage to Strunk and White’s Elements of Style, which I think is still the best guide to writing out there. Jan Harold Brunvand. Encyclopedia of Urban Legends. New York: W. W. Norton & Co., 2001, 58–9. David Emery, “Psychic Predicts Halloween Campus Massacre: An Urban Legend,” n.d., About.com. New review at "The Hidden Left Hand"
Page 47: Do you know who I am? 41: Gators in the Sewers!